During the last few weeks of school, an old familiar shift takes place: gravity lightens its hold between student and chair, eyes drift to the sunshine-filled windows, and even I find myself digging deep for those last energy reserves to push through state testing and finals. 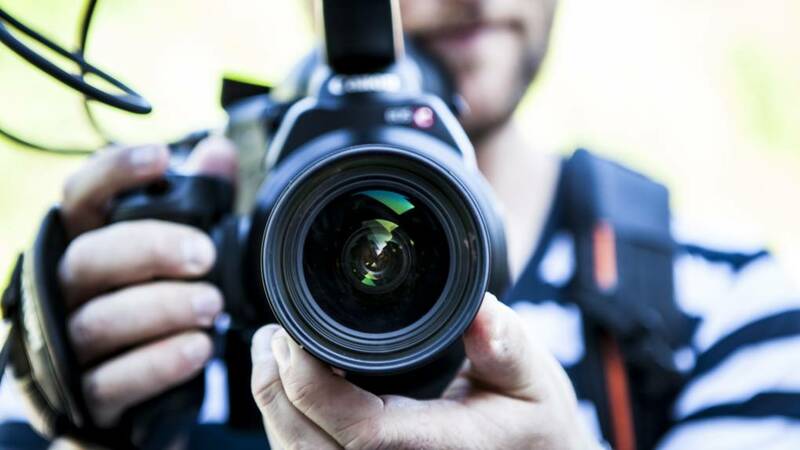 At this point, you may be ready to shake things up a bit, and documentary-inspired civic action projects may be just what you need! Documentary-inspired civic action projects have many benefits. Most obviously, they change up the tempo and empower students to be smart consumers of information sources that are available to them at any time. They also tap into one of the teen brain’s biggest gifts: lack of self- and idea-censorship. Teens are in the precarious state of trying out who they are, where they belong, and what they believe in, making them more open to new ideas and causes. They are also less burdened by experience and bureaucratic frustrations, not yet having faced the adversities of being a changemaker. Mix these with the heightened emotional experiences of a brain under construction, and you’ve got the perfect audience for documentaries that inspire civic action! Orangutan Refugees: A 5:41 video that provides students with an opportunity to learn about the deforestation of Sumatra and the resulting displacement of orangutans in this video and supporting materials from NATURE: Orangutan Eden. Using text-dependent questions, writing prompts and video, students will learn about how rescue workers are providing safe havens for orangutans. Clue into Climate series from KQED: A 7:01 video that provides students with an opportunity to learn how methane digesters turn waste into usable gases and other fuels. Methane is a greenhouse gas known to trap heat more effectively than carbon dioxide. Find out how methane digesters, however, can be used to turn pollution into an energy solution. These documentaries were accessed through a free PBS Learning Media account. I then showed portions of various documentaries found on Netflix and that explained the human impact on the environment. I then showed a few clips from a more heady NOVA documentary called Decoding the Weather Machine. In all, the clips ranged from two to 30 minutes and were mindfully-chosen to be engaging and connected to topics students learned this year. I also chose clips featuring language just slightly above students’ independent comprehension levels, with the understanding that guiding students through beefier presentations help them develop the skills to access these levels independently. My aim was to expose students to a range of documentary styles, from the fact-based journalism of PBS to the mostly-fact-based (but sometimes “altered” truths) of popular media documentaries. I supported students in developing a critical lens and a desire to fact-check by asking them questions throughout the documentaries. (Regretfully, I didn’t anticipate the need to address the differences between reality TV and documentaries; PBS Learning Media has a great lesson, “56 Up: Reality Media?”, to support this concept). Before the films, I showed students how to interact with the information they heard and saw by questioning information, writing down facts and keeping track of their emotional responses. I paused and allowed discussion, in small groups and with the class. And I took the time to validate any emotions that surfaced as the students processed some very heavy environmental concerns. After the films, I asked students to choose an environmental concern inspired by the documentaries. Then I asked the students to choose a format for their civic action project. Write and send letters to state representatives. Create a social media hashtag and post from their accounts. Create a short film documenting their topic in the style of a PSA. Create their own projects, given teacher approval (I just didn’t want 100 posters that would never make the full impact that media-based projects could!). Each project needed to include a brief summary of the concern, evidence, a warning of consequences if we don’t address the concern and a call to action. While the documentary and action project unit was incredibly fun and successful, I did have some learning moments (i.e. mistakes) that will make me stronger and more effective next year! For example, I was reminded to pre-watch the whole clip before showing it to my class when a passionate advocate said a cuss word at a rally. I also was not entirely prepared for the full range of emotional reactions. A few students were moved to tears or asked to take a break outside after feeling overwhelmed. Yet others used the overwhelming feelings to justify inaction, apathetically noting that there were “too many problems” that were too difficult to address. Additionally, some of the questions left me feeling uneasy and potentially hypocritical. 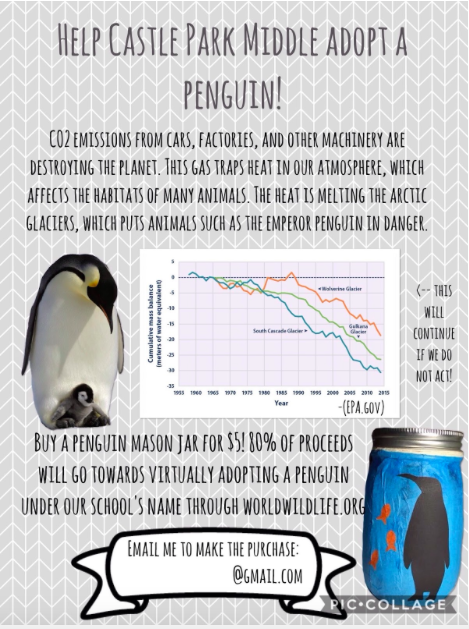 “If CO2 is heating up the earth, why would you drive a car?” “The ocean is filling up with plastic…how come we use plastic at school?” I had to embrace the discomfort and challenge my students to create alternative solutions! Documentaries prove to be powerful tools for informing and activating our students! Our eighth graders are graduating with a new sense of awareness and responsibility to this world and each other — I don’t think I could ask for more than that! Way to inspire! I loved that you gave the students a choice of project format but didn’t limit them to only those formats, freeing them to think independently. (Creating their own teacher approved project) What a beautiful way to nurture our future creators, leaders, and environmental stewards! Prev Teaching Film as Literature Next Is Your Sunscreen Harming Coral Reefs?